Cash games are considered the most profitable form of poker available because of the fact that you can make a decent hourly rate here. Plus skilled players can push their edge over hours and hours of play to make consistent money. Of course, the key word here is ‘skilled’ players, which means that it takes talent to eventually become a good cash game player. 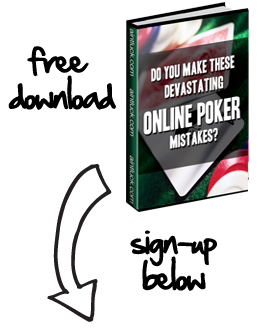 That being said, here are a few cash game poker tips that will help you improve in cash game strategy. In your overall approach to cash games, you need to realize that players at different stakes play differently as a whole. For instance, a 4X the big blind preflop raise might make most $1/$2 No-Limit Hold’em players fold, but it won’t make the average $0.01/$0.02 NLHE player fold. This being the case, every time you enter new stakes, you’re going to be re-learning the finer points of how to beat these limits. Sure basic strategy concepts such as pot odds and implied odds still apply, but profiling players and other details will be different. When you have great preflop hands, you need to isolate other players to take advantage of these opportunities. After all, it’s hard to earn a lot of money with pocket kings if you’re seeing the flop with two or three other players. So you need to isolate players before the flop by making a bet just big enough to force others to fold, yet small enough to where one player will call. This is of course easier when you understand Tip #1 better, but an example of isolating an opponent preflop would include making a 4X the big blind bet when you had pocket aces. In poker tournaments you only have one chip stack, which means that sometimes making the correct play isn’t always correct. For example, if you are on the bubble with just 700 chips and you’ve got good pot odds to chase a flush draw, it still isn’t in your best interests to do so because it’s too risky. However, in cash games you can just rebuy with more chips if you bust out while chasing a favorable draw. In short, the idea in cash games is to make the right play over and over again (positive expected value) to earn long-term profits. While you want to have favorable pot odds and implied odds when calling yourself, you should give opponents bad odds to call when you’ve got the advantage. To illustrate how this works, let’s assume that you hold As-Th on a board of Ac-7h-Jc, and your opponent is chasing a flush draw. If the pot is 150 chips, you should make a raise of at least 150 chips because your opponent will have 3:1 pot odds. Seeing as how they have 4:1 odds of hitting a flush on the turn, it’s a bad decision for them to call, and you would profit long-term if they make this call.